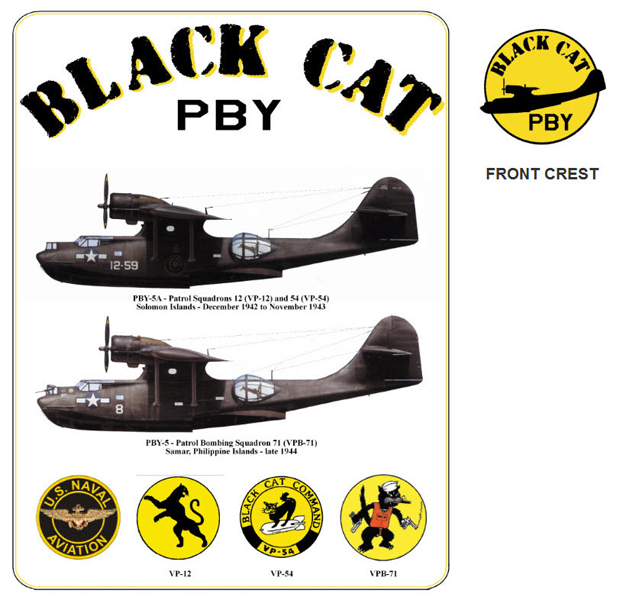 #290 - Navy's PBY Catalina Flying boats involved in "Black Cat" operations. 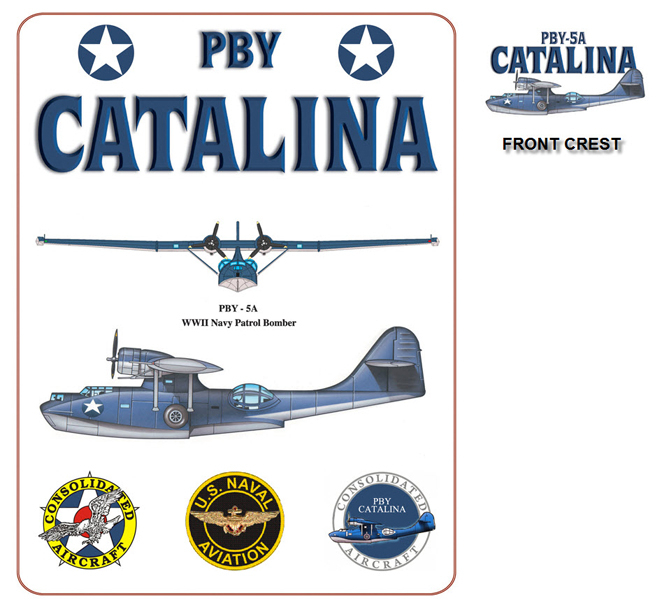 Catalina profile against a yellow moon on shirt front. 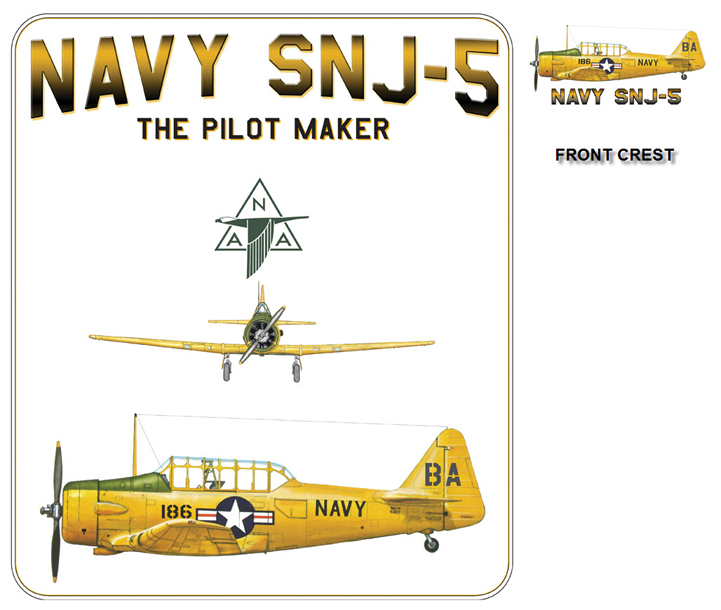 #288 - Navy version of the famous AT-6 Texan, the SNJ. 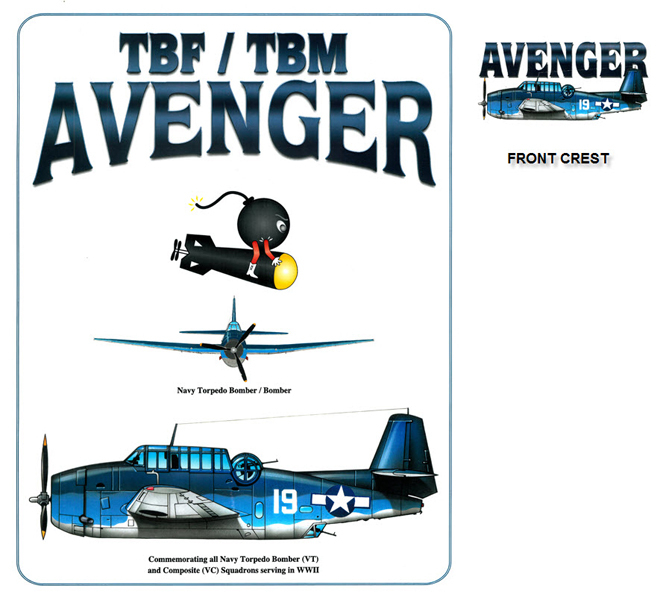 Unique aircraft emblem on shirt front. 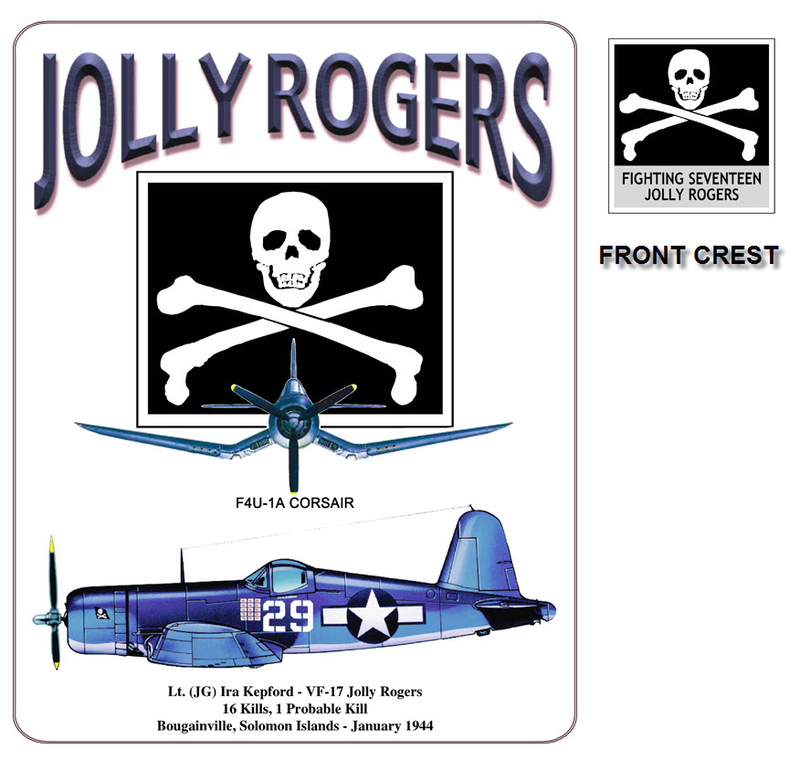 #271 - F4U-1A Corsair of John T. Blackburn, VF-17 - the Jolly Rogers. VF-17 squadron crest on shirt front. 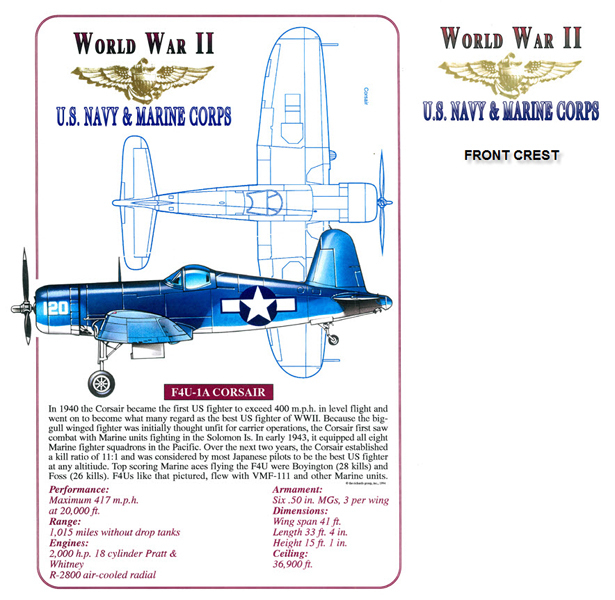 #013 - F4U-1A Corsair along with a short history and aircraft specifications. WWII US Navy and Marine Corps crest on shirt front. 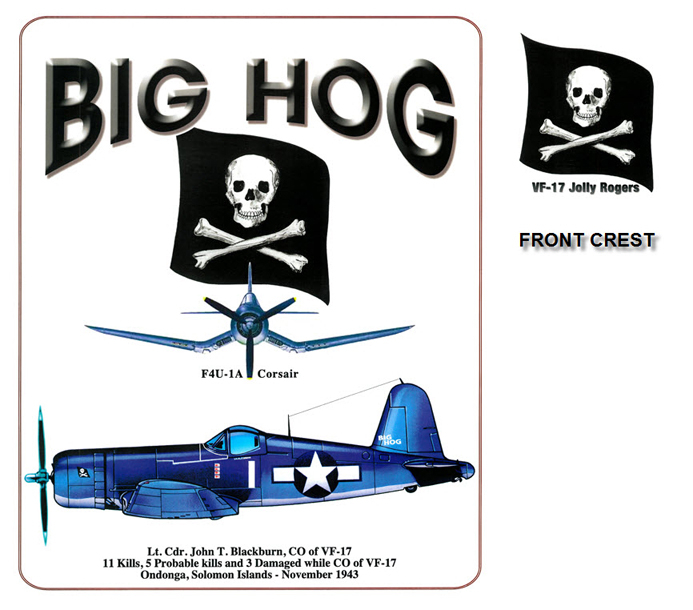 #167 - F4U-1A Corsair of Ira Kepford, VF-17 - the Jolly Rogers. 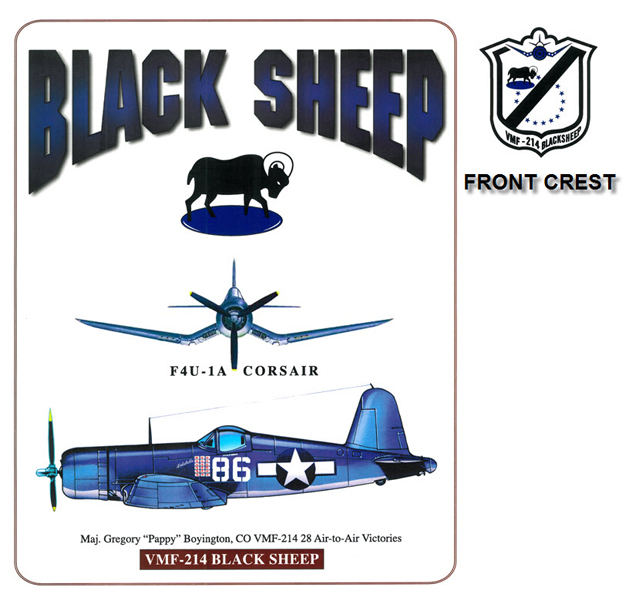 VF-17 squadron badge on shirt front. 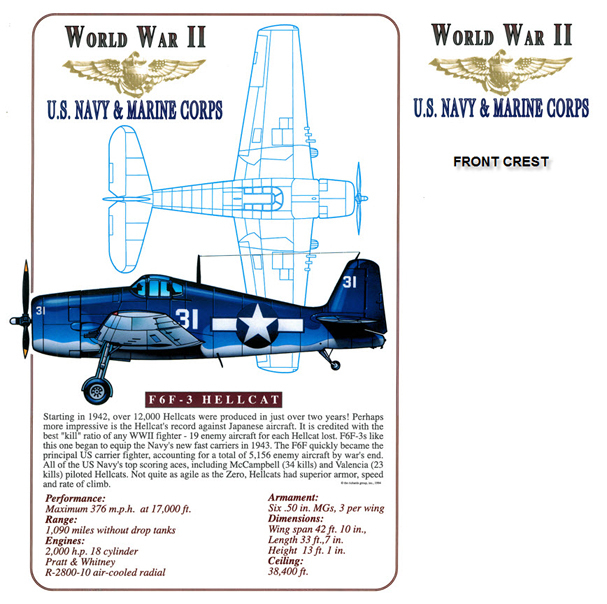 #012 - F6F Hellcat along with a short history and aircraft specifications. WWII US Navy and Marine Corps crest on shirt front. 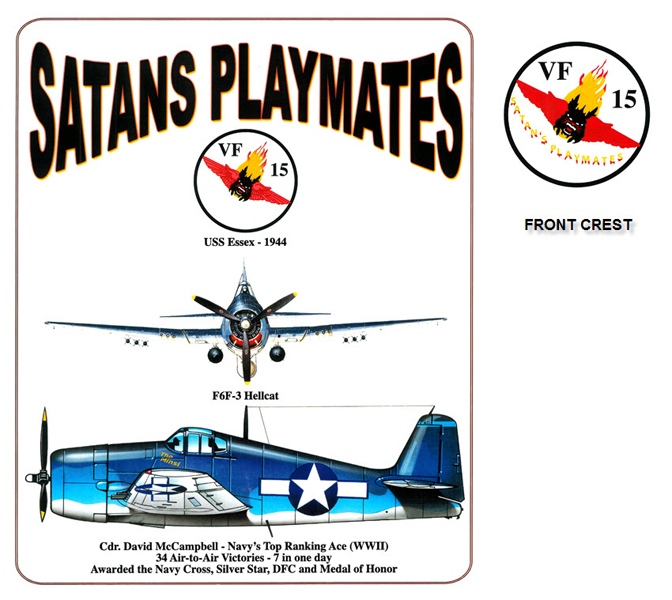 F6F Hellcat - Satans Playmates Sq. 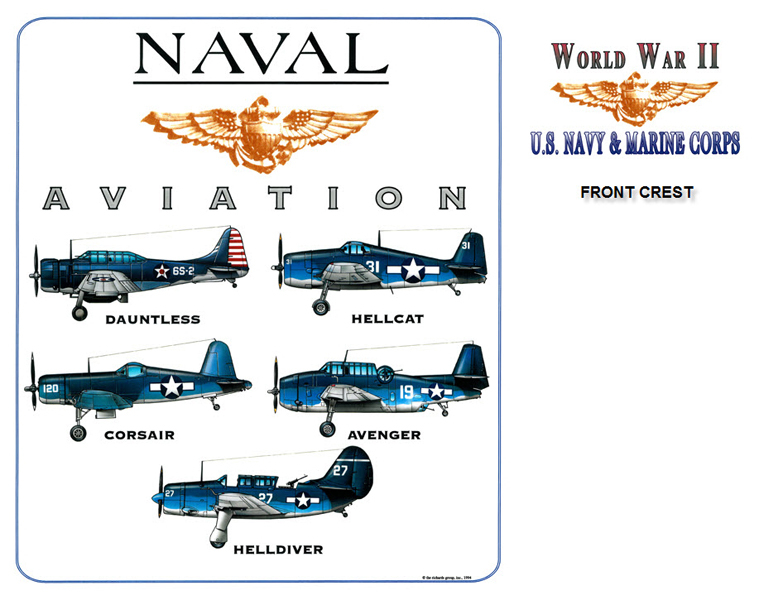 #104 - Some of the most important naval aircraft used in WWII - Dauntless, Hellcat, Corsair, Avenger, and Helldiver. WWII US Navy and Marine Corps crest on shirt front. 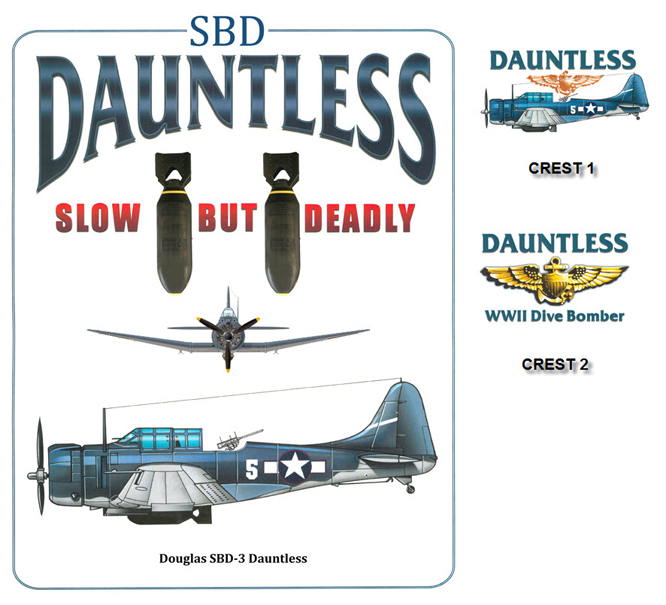 #197 - SBD Dauntless, the Navy's principal WWII dive bomber. 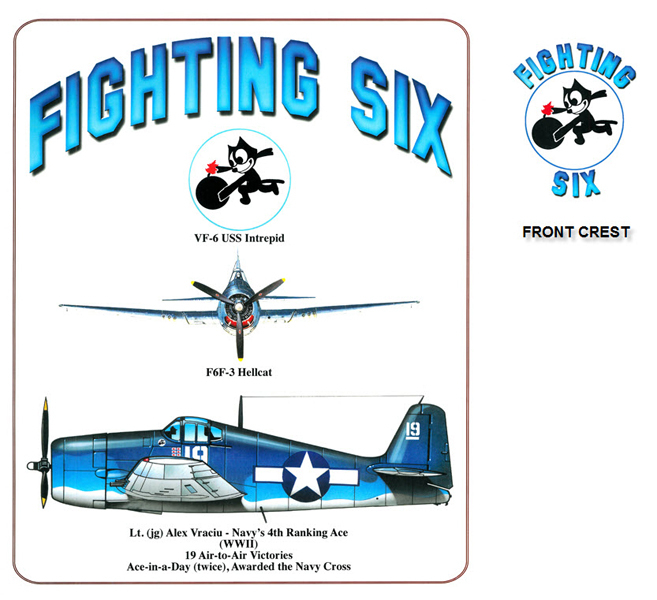 Navy wings on shirt front.